From Our Family 2 Yours… Happy Thanksgiving. 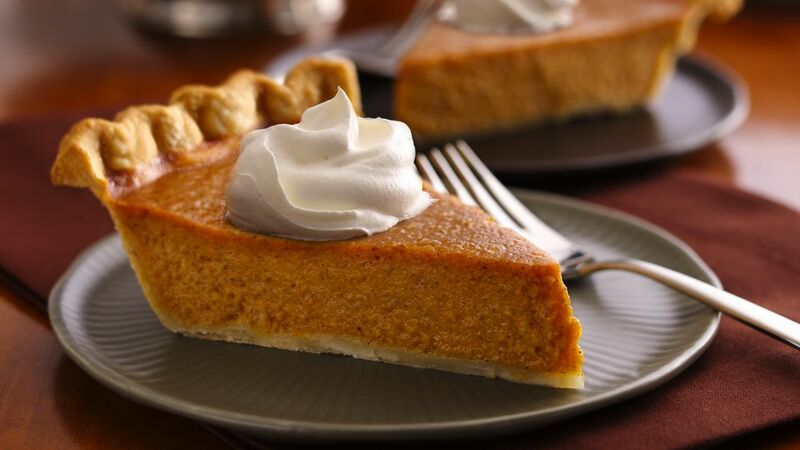 Celebrated annually in the United States on the fourth Thursday in November, the holiday of Thanksgiving was first observed in 1621 and continues to be an American tradition today. 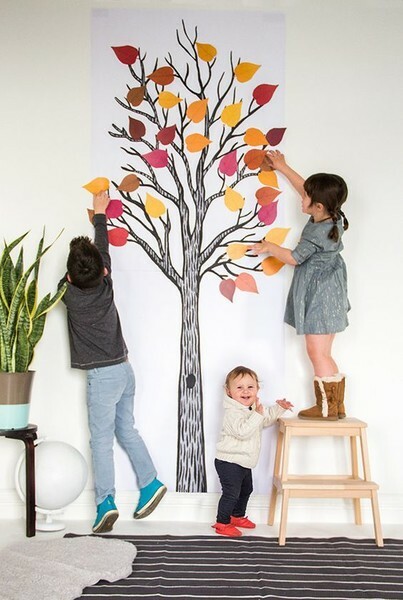 It can be a wonderful celebration of gratitude, appreciation, and family connection. Take some time during your meal and allow each person at the table to talk about what they’re grateful for. Thanksgiving Playlist. 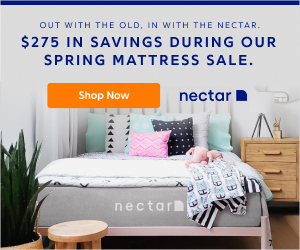 Lighting, scents and music add so much ambiance to a home. 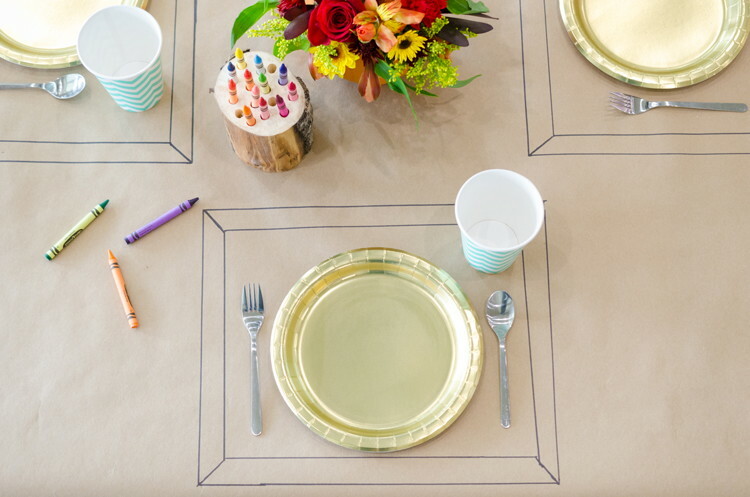 Cover the kid table with Kraft Paper and set out crayons to keep them entertained. 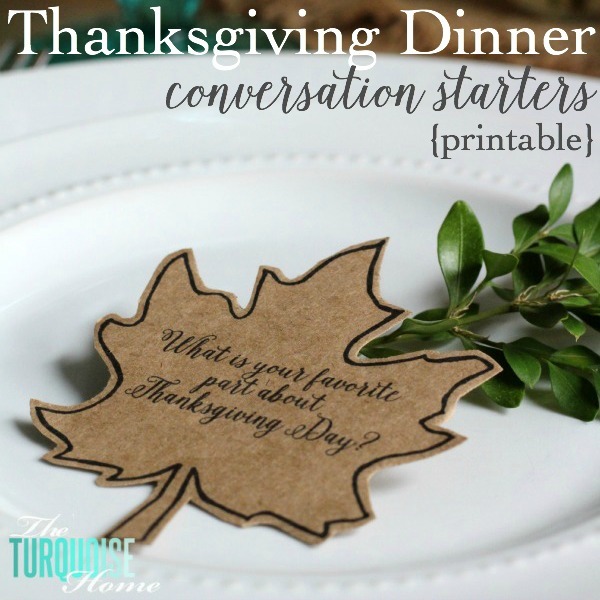 This is such a simple thing to add to your Thanksgiving Dinner, but I think it will be one of the most meaningful. Is this the Cutest Cheeseball you have ever seen? 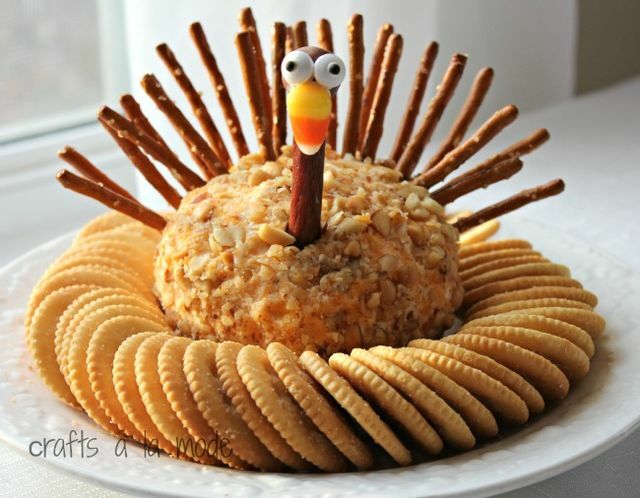 Angela From Handmade in the Heartland made this darling Cheeseball and you can to. 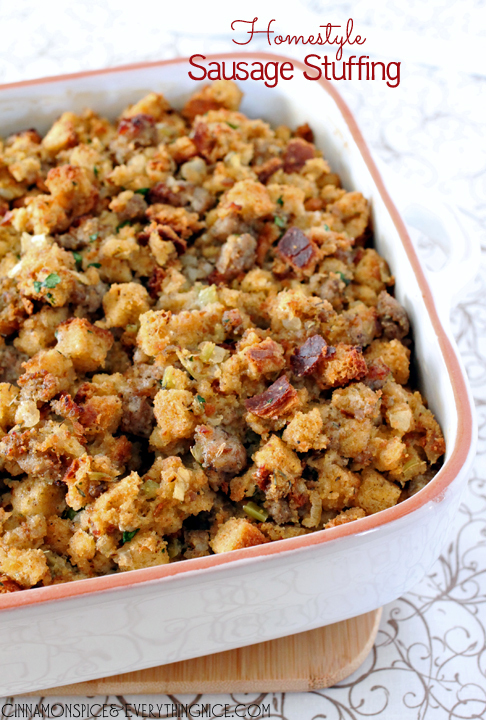 Homestyle Thanksgiving sausage stuffing, a versatile recipe with a lot of options. 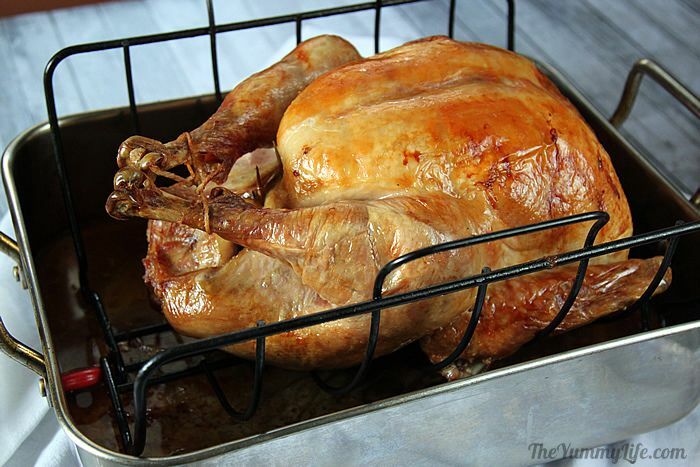 You can use it to stuff a turkey or bake it in a casserole dish. 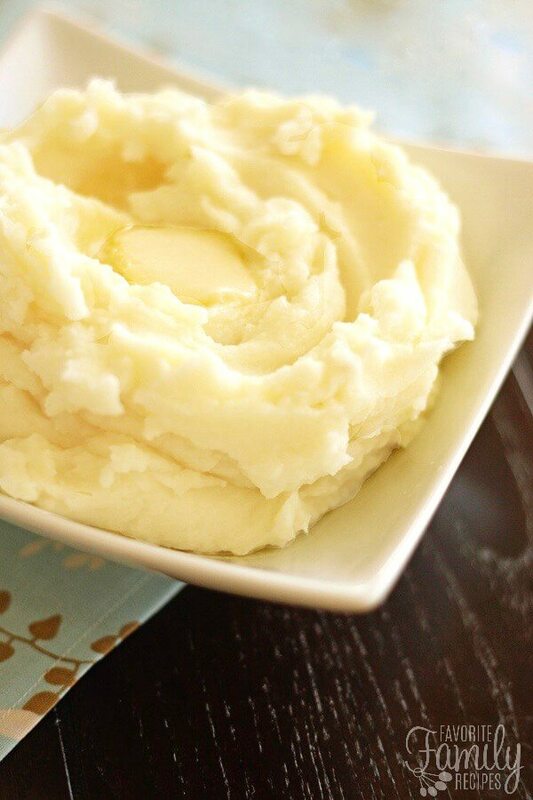 The Best Mashed Potatoes…via Favorite Family Recipes. 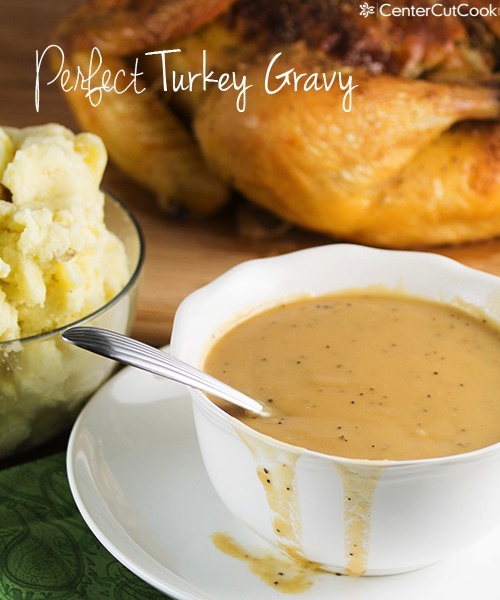 Perfect Turkey Gravy Made From Turkey Drippings via Center Cut Cook. 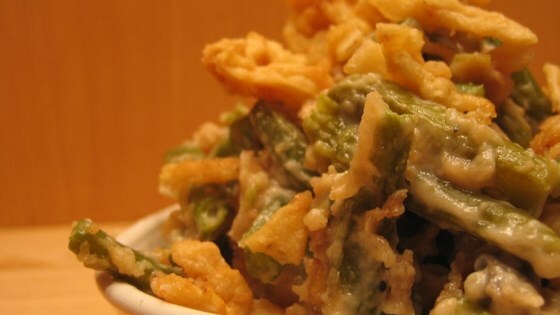 The BEST Green Bean Casserole You Will Ever Try via All Recipes. The Perfect Rolls For Your Thanksgiving Dinner….via Dreaming In DIY. 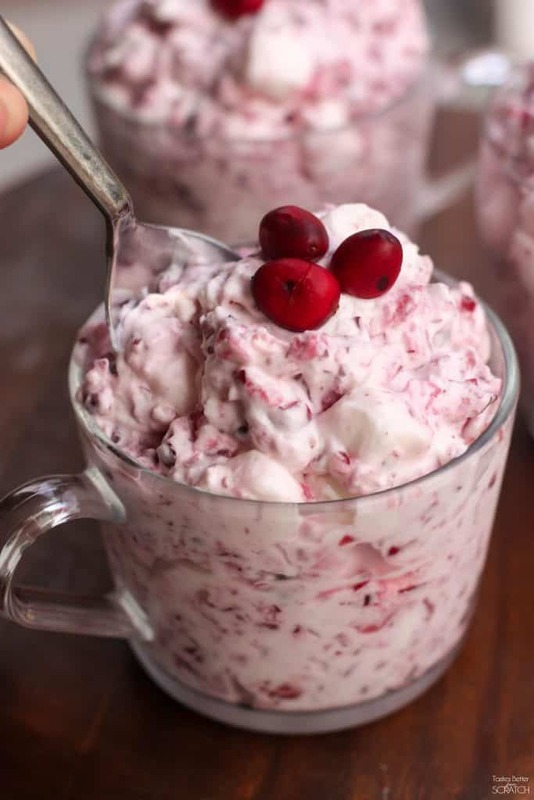 Cranberry Fluff Salad is an easy holiday side dish that’s always a crowd favorite! It’s creamy, sweet and delicious! 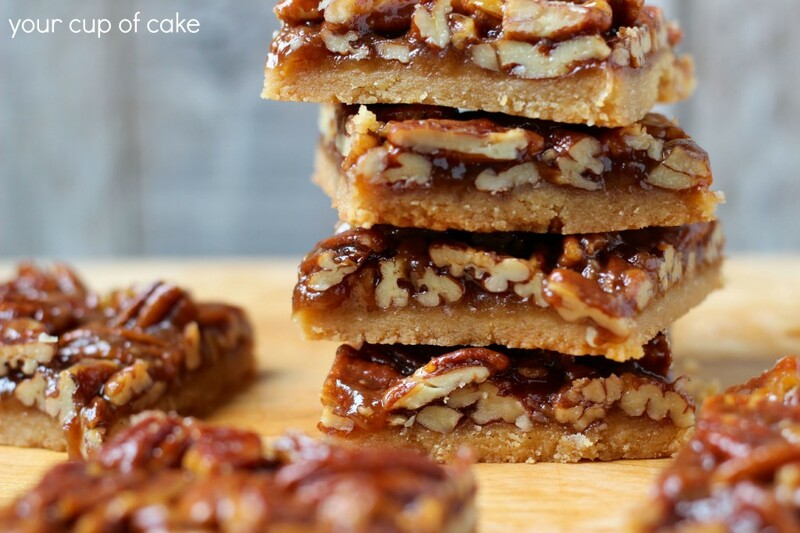 Delicious Pecan Pie Bars perfect for a Fall Party or for Thanksgiving! 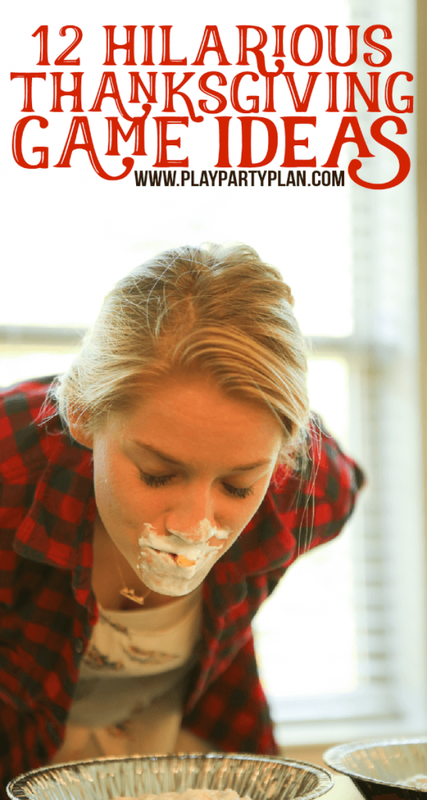 What’s better than apple pie? Caramel apple pie, of course! The secret ingredient of this recipe? Use Granny Smith apples. 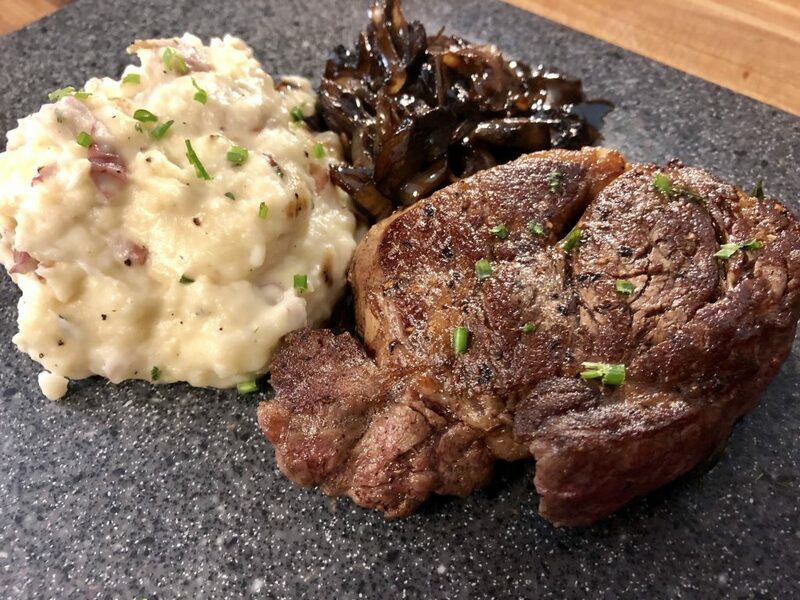 Find out why, and Grab the recipe here. 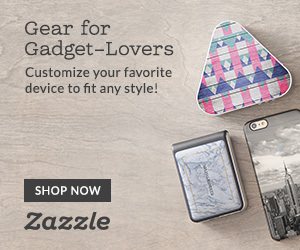 Share The Meal App….With a tap on your smartphone you can “Share The Meal” with a child in need. It costs only US $ 0.50 to feed one child for a day. Together with the United Nations, you can change the world and end global hunger – whenever you want and wherever you are. I hope more people will do this and teach about giving is so important in this world. 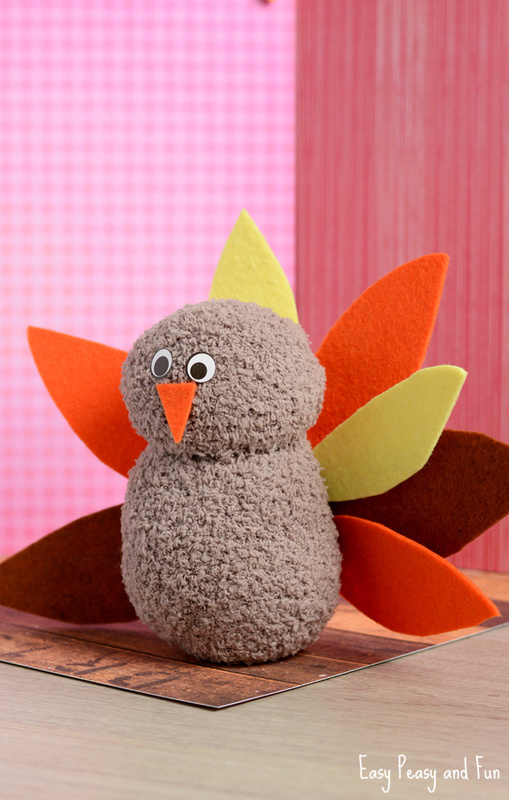 It’s Turkey Time…Check out his Adorable No-Sew Turkey Craft! 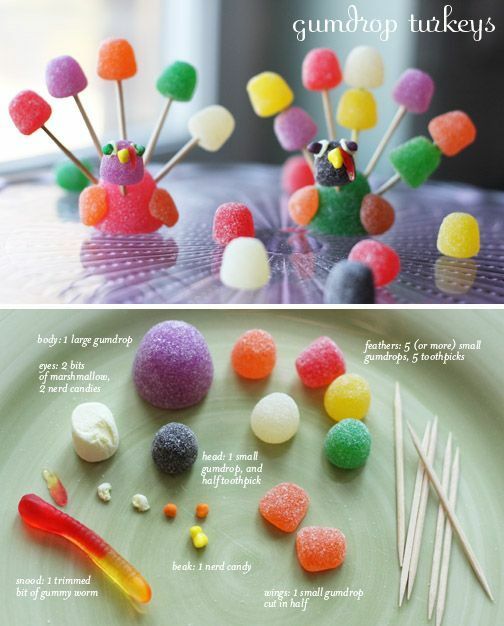 Perfect Thanksgiving Craft From Easy Peasy and Fun.